It took Former Egyptian President Hosni Mubarak 30 years as president to wear out his welcome with the Egyptian populace. President Barack Obama singular achievement is that he achieved this in less than two years. Free Americans are constrained by "hope and change" which is based in the U.S. Constitution. We hope as we endure in the short term for change allowed via elections under our Constitution. Our established election cycle and presidential term limits prevent America's frustration from looking like Egypt. Tags: Egypt, Egyptian Sphinx, Hosni Mubarak, Mubarak, Barack Obama, Obama, Obama's Foreign Policy, Political Cartoons, William Warren, hope, change To share or post to your site, click on "Post Link". Please mention / link to the ARRA News Service. Thanks! By J. Lester Feder & Kate Nocera, Politicol: CBO Director Douglas Elmendorf told the House Budget Committee on Thursday that the health care law will reduce employment by 0.5 percent by 2021 because some people will no longer have to work just to afford health insurance. 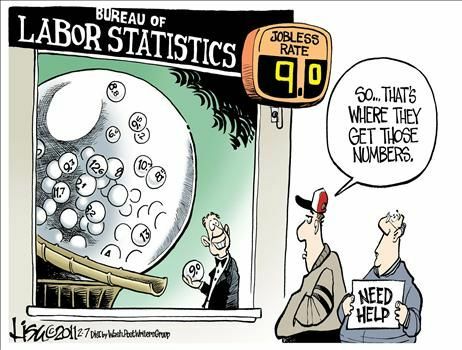 “That means that if the reduction in the labor used was workers working the average number of hours in the economy and earning the average wage, that there would be a reduction of 800,000 workers,” Elmendorf said in an exchange with Rep. John Campbell (R-CA). Tags: Obamacare, Health Care, Health Care Reform, Jobs, Lost Jobs, Unemployment, Congressional Budget Office, Douglas Elmendorf To share or post to your site, click on "Post Link". Please mention / link to the ARRA News Service. Thanks! Bill Smith, Editor: The following is taken from Sen. Tom Coburn (R-OK) annual “Wastebook” Monday, discussing 100 spending projects that squandered $11.5 billion of public money this year. The following is part of series of articles where that will be run drawing on Coburn's 2010 Wastebook and other sources to identify government funded waste. We are going to call the series Cut the CRAP which represents depending on the situation (Congress' Reckless Addiction to Pork) or (Congress' Reckless Allowance of Piss-Poor-Performance). If you are angry with the waste, leave a comment, but most of all forward the example to your congressional representative and Senators and tell them to "Cut the CRAP." Let your friends know about the waste. And get involved with organizations opposing government fraud, waste, and abuse. However, if you are happy with the pork project, share with us why you believe the government should be taxing others and in-debting our even grandchildren for the project. To obtain the stimulus money, the city‘s housing authority promised the federal government it would spend the money on improving a number of low-income homes it managed. Those projects included a mere $100,000 for combating mold and mildew at an apartment complex named Wilkinson Terrace. More than ten months after awarding the grant to Shreveport, officials from the Department of Housing and Urban Development noticed the city had failed to spend most of the money. 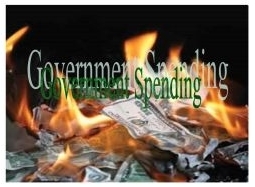 Under the rules of the stimulus, the money was to have been spent within one year. The agency reminded Shreveport that the funds needed to be put to work, or they would be rescinded. In the span of a few weeks, Shreveport officials cut contracts worth over $1.5 million for mold remediation at Wilkinson Terrace – fifteen times what they told the feds they would spend, and much more than a site facing possible demolition likely deserved. As the HUD Inspector General noted in an audit of the troubled grant, ― if the Authority‘s ultimate plan was to demolish the Wilkinson Terrace site in the next few years, the prudency of its decision. . . should be further questioned. What‘s more, when the IG‘s investigators examined Wilkinson Terrace, it found the contractors had failed to do the work properly. ― [T]he inspected units had what appeared to be pest excrement caked on surfaces that were to have been cleaned and disinfected, the IG wrote.The audit concluded that Shreveport should return over $1.1 million in misspent federal funds. The city disputes the IG‘s findings. Tags: US Congress, CRAP, Cut the Crap, mold, condemned apartments, Shreveport, Louisiana To share or post to your site, click on "Post Link". Please mention / link to the ARRA News Service. Thanks! The Senate is in recess until Monday, Feb. 14th so Senate Democrats can attend their retreat in Charlottesville, Virginia. It appears there are dissenters in the ranks. Today, first term Sen Jim Webb (D-VA) announced he will not run for office in 2012. When the Senate is back in session, they will continue with S. 223, the FAA reauthorization bill and any legislation that Sen. Leader Harry Reid is willing to put forth. Maybe both sides of President Obama's brain don't think at the same time or his true beliefs and narrative for the public often conflict. At the moment Obama's Dichotomy is that he says for the public, “We need to make America the best place on Earth to do business,” but at the same time he is proposing new taxes on small businesses and larger corporations, making it ever more expensive and difficult for them to hire new workers. Unfortuantely, the public for the first time in modern history has been denied being able to see any of his college transcripts. It would be good to know if he ever took any business courses in his undergraduate and graduate degrees. The question is simple, if the president and Democrats in Congress want to create jobs, why are they proposing tax hikes that will make job creation more difficult? The constant rhetoric, e.g., propaganda, from both the White House and the Democrat leaders in Congress are in conflict with their actions and the needs of the Nation. Tags: Washington, D.C., Barack Obama, dichotomy, US Senate, US House, democrats, tax hikes, taxes, spending, taxes, jobs, businesses To share or post to your site, click on "Post Link". Please mention / link to the ARRA News Service. Thanks! Bill Smith, Editor: Gary Bauer highlights some great news which has been identified in bits and pieces in the news. Democrats are losing ground in the South as Democrats who are at heart conservatives and not liberals are are walking across the isle and changing parties. Unfortunately, this has not happened in Arkansas -- yet! However, it should be. As I have detailed before, the term "conservative democrat" is an oxymoron. However, today the emphasis is on "moron." Only a moron would continue to associate with a group with which they have no common philosophical belief. A person may marry and love a person with different beliefs, but politics is not marriage. Politics is also not ancestral - you were not born a progressive liberal democrat. I will concede that some elected officials "may be" borderline fiscally conservative while in all other areas they are a liberal. oever, this is even hard to believe because a liberal always wants to spend other people's money. Of course a person can be an Arkansas Beebe style fiscally conservative who plans the taking of the people's money first and then spending only what they planned to take. This is like crooks spending no more than they took through theft and deception. But even when one is Dem-lite." they eventually slip into wanting more and more use of "other people's money." The result is more robbery via taxes, fees, and debt by deceptive bonding initiatives. For those democrats claiming to be supporters of the Constitution (not Pelosi's or Obama's view of the Constitution) and to be fiscal conservative seeking to control the growth and to reduce the size of big government and to stop imposing unfunded mandates on the Counties, Cities and communities, you are lying to yourself and your constituents. You are preventing conservative progress in Arkansas. You should be following the example of other Southerners mentioned in Bauer's article and walk across the isle and join the Republicans. It is that easy, once a person settles in their mind and soul to do the right thing. If you are a democrat claiming to be a fiscal conservatives, a national defense conservative, and a traditional values conservative or even two out of the three, stop perpetuating a lie that you are a democrat. You are compromising your beliefs and advancing a liberal party's politics which you indicate that you do not believe. Save your children, grandchildren from progressive liberalism. Walk across the political isle. Join us! As Republicans, we will not always agree and in fact some may indeed be insufferable. But that is not the point. You are not a fishing, hunting or having fun with friends. You are supposed to be representing the people of Arkansas on the right side of as a conservative. Dedicated military members in harms-way find that fear and the realization of their own mortality is real but they can still sleep in the midst of conflict. Why, because they know they are morally on the right side and their buddies, whom believe as they do, have their back. If you are conservative in the Democrat Party, who has your back as you represent your constituents? Is it the liberals? If you are pro-life, is it the pro-death advocates? If you are pro-Arkansas workers and jobs for Arkansans, is it your open borders colleague or liberals who are restricting the growth of business? Join us on the right side! You will perform better because you will not be hiding behind the false label as a liberal. If you fear loosing friends, they never were your friends. 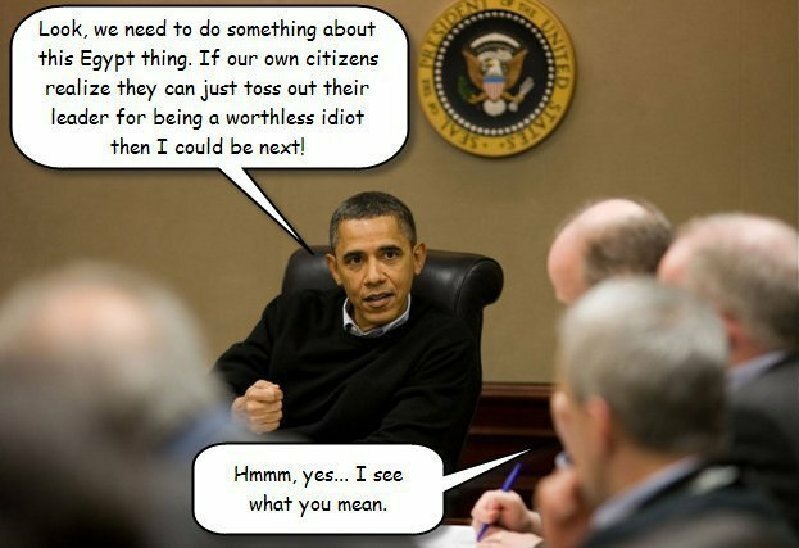 It is time for closet conservatives to declare themselves free and independent of the Party of Obama, Reid, and Pelosi. Help save Arkansas! Also, it is time for elected Republicans to stand with all conservative positions and to stop compromising with Democrats. You cannot advance conservatism by playing for the other team! Gary Bauer, Contributing Author: You probably thought that the elections were over, but there are new results coming in and they are dramatically reshaping the political landscape. Don't worry -- these aren't new ballots that have been found. Instead it seems some politicians are finding their brains. Since the November elections, at least 30 elected Democrats have switched parties in Alabama, Georgia, Louisiana, Mississippi and Texas. Last week, Buddy Caldwell, Louisiana's attorney general, switched to the GOP. His defection leaves Senator Mary Landrieu as the only Democrat holding state-wide office in the Bayou State. And the trend continues -- another Louisiana state representative switched parties yesterday! One respected political scientist at Emory University in Atlanta blames the "increased liberalization" of the Democrat Party for the defections. Every legislator quoted in the media agreed with that analysis. Yesterday brought even more evidence of the demise of "moderate" Democrats: The Democratic Leadership Council announced that it was shutting down. The DLC was formed in 1985 to pull the Democrat Party back to the center after Ronald Reagan's landslide victory over Walter Mondale. The election of Bill Clinton as a "New Democrat" was considered a triumph for the DLC. But in the Age of Obama, the DLC can't compete with the likes of MoveOn.org, CodePink and the myriad of left-wing groups that dominate today's Democrat Party. Tags: Liberals, Conservatives, Democrats, Democrat Party, Republican party, The South, changing political party, To share or post to your site, click on "Post Link". Please mention / link to the ARRA News Service. Thanks! Tags: Democrat, Senators, tax hikes To share or post to your site, click on "Post Link". Please mention / link to the ARRA News Service. Thanks! The Senate resumed consideration of S. 223, the FAA reauthorization bill. This morning, they voted 96-1 to adopt an amendment from Sen. Bill Nelson (D-FL) striking a section from the bill that would have transferred some responsibility for aeronautics research away from NASA. Yesterday, the Senate unanimously confirmed 3 district judge nominees. The Senate is expected to adjourn for the week early this afternoon, so Senate Democrats can attend their retreat out of town. Appears that Reid's delay in bringing the Senate back into session was not enough for them to whip all the democrats into line. ; And with CPAC in Washington, D.C. this week, the democrats sure don't want those conservatives knocking on their office doors. 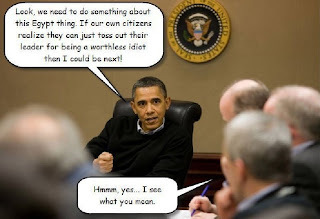 At the White House, consider the posturing of insanity or blatant lies! Which option do you prefer? Two days after President Obama told millions of people watching him, “I didn’t raise taxes once,” The White House advances a plan for jobs that raise taxes on job creators. Unbelievable. Their solution: enslave the golden goose and starve it to death. This morning, Senate Republican Leader Mitch McConnell said, “In their Monthly Budget Review, the Congressional Budget Office said that if the current spending levels are frozen at the same level as they are now, and Congress were to enact no other legislation affecting spending or revenues, the federal government would end this fiscal year with a deficit of $1.5 trillion—or about $200 billion more than the deficit Democrats ran last year. “In other words, even if we don’t add another dime to the current spending levels, the deficit will get even worse than last year. That’s what would happen under the President’s best offer, which is to lock in the dramatically higher spending levels from the past two years and put the budget on cruise control. The deficit wouldn’t stand still — it will grow by $200 billion, over the next several months. But if Democrat leaders are simply going to attack proposals to cut spending, can they be taken seriously when they proclaim their shared concern about the deficit? 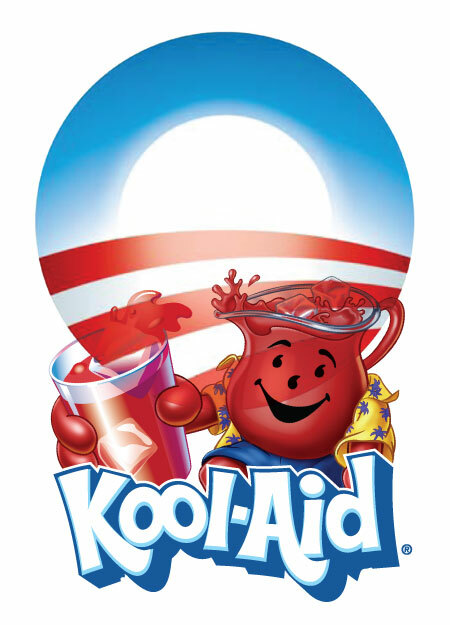 Obviously, not; but, they will be serving their fellow democrats the "Kool Aid" this week at their retreat. Tags: US Senate, US House, CBO, democrats, Kool Aid, spending, taxes, FAA reauthorization To share or post to your site, click on "Post Link". Please mention / link to the ARRA News Service. Thanks! Note that in the in the discussion on the video, it is revealed that the original shooting that prompted the comments by the Chief of Police was a shooting of an officer by an ILLEGAL alien who illegally possessed a firearm. Also, note that since Oklahoma stopped its restriction of AR-15s, the murder rate has declined not increased in Oklahoma. What we have is response by a liberal biased Police Chief buying into the liberal left media instead of being thankful that the citizens of Oklahoma are prepared to defend themselves. It is tragic that we have another case of an illegal alien committing a felony in the Unites States. Cam Edwards (NRA) talks to Pastor Tom Vineyard from Windsor Hills Baptist Church in Oklahoma City, OK about his "Open Letter" - NRA News - January 24, 2011. I want to start this letter by saying thank you for your 33 years of service in law enforcement. Having personally been the victim of a violent crime, I cannot emphasize enough how grateful I am to all those who put their lives on the line every day in order to keep the citizenry safe. Since 1985, the members of Windsor Hills Baptist Church have had the privilege of honoring city, county, and state law enforcement officers on our annual Law and Order Sunday. By our conservative estimation, we have honored approximately 300 such officers, of which at least 75 have been from the Oklahoma City Police Department. We even made efforts this last fall to invite Officer Katie Lawson in order to honor her. With all due respect, Chief Citty, I would like to point out a few things about the article and your comments in it. It needs to be clarified that there is a great difference between an AR-15 and an assault rifle. To place both in the same group is incorrect and misleading. Please note that the U.S. M16, NOT the AR-15, is included on the list of Military/Assault rifles. The website NSSF.org additionally explains that sporting rifles based on the AR-15 cosmetically look like military rifles but do not function the same way that Military/Assault rifles do. “AR” stands for Armalite rifle, not “assault rifle.” NSSF.org states, “AR-15 ‘style’ rifles are NOT assault weapons or rifles. An assault rifle is fully automatic – a machine gun.” The article goes on to state that the term “assault weapon” is a political term created by California anti-gun legislators in order to ban some semi-automatic rifles there in the 1980′s. As a Christian and a pastor, I feel it my duty to also respectfully remind you that it is the God-given right and responsibility of every individual to protect themselves, their family, and their property. Abraham armed his trained servants in Genesis 14:15 in order to recover Lot, his family, and his goods as well as everything else from Sodom. Abraham was just one man in a strange land. David armed himself with the sword of Goliath in 1 Samuel 21:9. By 1 Samuel 25:13, every one of David’s men was armed with a sword. This is just a few of the many examples that the Bible presents, from Abraham to Christ, of people who armed themselves with the preferred weapon of their time, the sword. We could very easily say that it was the AR-15 of their day. Mr. Dean stated that you see “no practical reason why someone needs an AR-15 or similar weapon.” Again, with all due respect, Chief Citty, you have obviously never been the victim of a violent crime. In just a few days, sir, will be the sixth anniversary of my family being robbed in our home while we were missionaries in Africa. Every day since then, when I look in the mirror to brush my teeth, wash my face, shave, or comb my hair, I see what I call my trophy from Africa, a scar on my forehead where I suffered a skull fracture from a rifle that was used on me while I was fighting to defend my family against five armed men who broke into our home. I nearly lost my hearing and my ear in the attack, and still have daily headaches to remind me of it. Please understand that when they entered our home, we were unarmed. The law there in that country prohibited citizens from possessing firearms of any kind. Again, with all due respect, sir, I beg to differ with you that THERE IS a practical reason why someone needs an AR-15 or a similar weapon. If you and your family were ever robbed by someone who was armed while you were unarmed, you would understand. You used the term “unscrupulous gun sellers.” How is it unscrupulous to engage in commerce? Are you implying that those who sold the gun did it with the intention of him shooting a police officer? Can you not see that to raise the restrictions on firearms such as the AR-15 is simply to take them out of the hands of law-abiding citizens but not out of the hands of the bad guys? You stated that Officer Lawson was outgunned. I would like to ask why? From what I understand in talking to police officers, they are permitted to carry shotguns and even AR-15′s in their vehicles. Did she not have one? Is your department underfunded and unable to provide each officer on duty with a shotgun and AR-15? If so, may I help you in a fund raising effort to provide each on-duty officer with a shotgun and AR-15? I am confident that with the multitude of law-abiding citizens who are thankful for law enforcement that we could easily raise the needed funds to properly arm our law enforcement officers. According to the December 31, 2010, article that Bryan Dean wrote, “Oklahoma City officer recounts night she was ambushed,” Mr. Dean reported that police carry their own AR-15 rifles in their cars, but that Lawson “never had a chance to retrieve hers.” So it is obvious that Officer Lawson was not completely outgunned; she was only taken by the element of surprise. What law could be passed to stop such a crime if the death penalty is already in effect in Oklahoma? The answer is NOT to prohibit law-abiding citizens from purchasing sporting rifles such as the AR-15. The question was asked, “How does a teenager get an AR-15?” While an 18 year old is still a teenager, an 18 year old is also old enough to drive, to vote, and even to go serve our country in Iraq or Afghanistan. It is understandable that since the majority of 18 year olds are law-abiding citizens it is legal for them to purchase a firearm if they can afford it and so desire to do. The article states that the gun was tracked to a dealer in Tulsa. The original sale was a legal sale. The weapon was tracked to its source. The shooter was found. Were you able to put it in his hand when he committed the crime? I believe the correct answer is yes. Adding extra hoops for law-abiding citizens to have to jump through will not keep criminals from breaking the law by shooting or killing someone. It makes absolutely no sense to cumber law-abiding citizens with even more regulation and further hinder them from protecting their families from those who have no regard for the law and will get and use guns even if they were completely outlawed and banned. It has been said that everywhere that gun regulation has been implemented, it is eventually followed by gun confiscation. Simply look across the pond to our friends in England and to those in the southern hemisphere in Australia as proof of this. Please understand that I am not implying this of you personally, but the reason that our founders included the 2nd Amendment in our Constitution was to protect the citizens from a government overstepping its bounds. I challenge you to research the statistics in places such as Chicago, Washington D.C., Australia, and Great Britain where guns are prohibited. You will find that crimes with firearms still take place. More restrictive laws will not keep bad guys from committing crimes. Has the sign with the little pistol with the slash through it ever stopped a crime from being committed in places where firearms are forbidden? No, absolutely not! There are still school shootings like the one yesterday in California or the school board shooting in Florida. Even the shooting in Arizona would have most certainly turned out differently if the Safeway there had been “Concealed Carry” friendly. A clarification of your term “guns” would be helpful. Are you speaking of the encyclopedia definition of a fully-automatic Military/Assault rifle, or a sporting AR-15 rifle, or are you speaking of the legal conceal carry pistols that law-abiding citizens are permitted to carry? Well, there is a problem if what you are referring to is the legally permitted conceal carry or even a rifle or shotgun without a round in the chamber. Correct me if I am wrong, but does not Oklahoma law permit the transportation of firearms in the vehicle as long as there is not a round in the chamber? Are you speaking of those type guns that are legal under Oklahoma law? I want to respectfully challenge your statement about running into guns at a much higher rate now than twenty years ago. I don’t know if you are from Oklahoma or how long you have been here, but when I was a teenager growing up here in Oklahoma, I remember seeing pickup trucks with gun racks carrying a rifle. Our school would play other schools in smaller, more rural towns where it was common to see them even in the pickups of the boys we played in football. That’s Oklahoma, Chief! Go back and study the statistics of shootings in smaller, rural towns. I am sure that you will find that while the guns in the back windows of pickups were common, the shootings were few and far between. Oklahomans, in general, are good people, Chief. The majority of us are law-abiding citizens. We respectfully reserve the right to keep and bear our arms, even our AR’s, protecting ourselves and our families. It is our state Constitutional right. It is our U.S. Constitutional right. And if either or both of them were to be taken away from us, it is our God-given right! If our Oklahoma City police officers are truly outgunned, then let me help you get an AR in each of their patrol cars. I would like to boldly suggest though that the real problem is not the style of guns that citizens are allowed to possess, but the illegal immigrants who are the cause of many such crimes. Mr. Dean’s article completely overlooked the fact that Mr. Hector Mercado who had previously been deported and was in the country illegally was pulled over for a traffic violation. May I remind you, Chief Citty, that after HB 1804 was passed, law enforcement offices all across the state were permitted to cross-train some or all of their officers and deputies with ICE agents to help apprehend and deport illegal aliens. I would like to know if you have accepted this offer for Oklahoma City police. I am further going to research to see if Sheriff Whetsel has allowed his deputies to be trained in this program. I think that I can confidently speak for the majority of law-abiding citizens in the state of Oklahoma that they would much rather you focus your attention upon the much more pertinent issue of illegal immigrants in our state and in Oklahoma City than to try to fabricate illegitimate reasons to regulate the state and country’s lawful liberty to keep and to bear arms. Tags: Oklahoma, Oklahoma City, pastor, Tom Vineyard, gun rights, Second Amendment, NRA, NRA News, firearm, gun control, police Chief, Bill Citty, Chief Citty, AR-15, illegal alien To share or post to your site, click on "Post Link". Please mention / link to the ARRA News Service. Thanks! 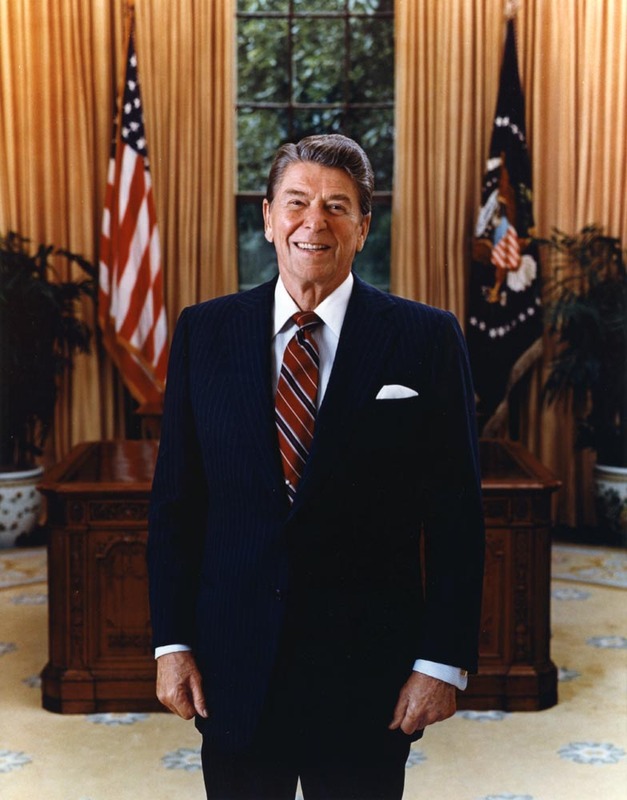 Bill Smith, Editor: I planned to write my own post on Ronald Reagan as I proudly served under President Reagan and had a small part in the efforts necessary to bring the Soviets to the table for the fist START Treaty. Having seen the results of attacks of terrorist first hand, I remember well how President Reagan responded swiftly and decisively to the Islamist terrorist threats to military units in Europe. However, for the following reason, I am sharing below today the excellent post by "Findalis" on the blog "Monkey in the Middle." Hard to improve on excellent. In the last three days, I have been occupied driving over 1000 miles to and from Northern Illinois to attend the funeral of a great man in my life. Mr. James Palmer was my uncle. He was also an Army WWII vet and part of the greatest generation. James Adell Palmer, 87, of Horseshoe Bend, Arkansas died on Tuesday. He was born Sept. 6, 1923 in Orfordville, Wisconsin. He lived in Illinois and Wisconsin most of his life before moving to Arkansas in 1992. During the closing days of the WWII, he met the love of his life, Elizabeth, at Camp Grant, near Rockford, Illinois. She was delivering military supplies. At his death they were married 66 years. Jim and his wife became Christians within a few years of being married and they committed their life to being a Christian example to their children, family and friends. It was through them that I learned about Christ's love. He was great not for the same reasons that people identify for President Ronald Reagan. Palmer was not an actor or President of the United States. But James Palmer was an honorable man who loved his God, his wife, children and grandchildren and others. He was a good father and provider for his family and a living Christian example to others. He was a conservative and a Republican and we often talked about politics and the events going on in the world. He prayed often for others, for country and for the troubled world. James was a defender of life long before his fellow Illinoisan Ronald Reagan came to this same position. I will think often of James Palmer in my remaining days. But, I have hope in Christ that I will meet both James Palmer and Ronald Reagan in the future. Regardless of what field of endeavor Ronald Wilson Reagan perused, he left his mark upon the profession he was associated with. Born in Tampico, Illinois on Feb. 6, 1911 he was not a son of privileged. 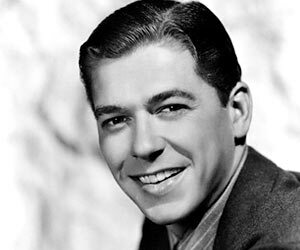 At a time when only the affluent were able to send their sons and daughters to University, Ronald Reagan worked his way through Eureka College receiving a Bachelor of Arts in Economics and Sociology. He played football and received his first acting experience while in College. His first job after graduation was as a radio broadcaster first in Iowa then moving to California in 1937. In 1937 he was offered a acting contract with Warner Brothers studio. 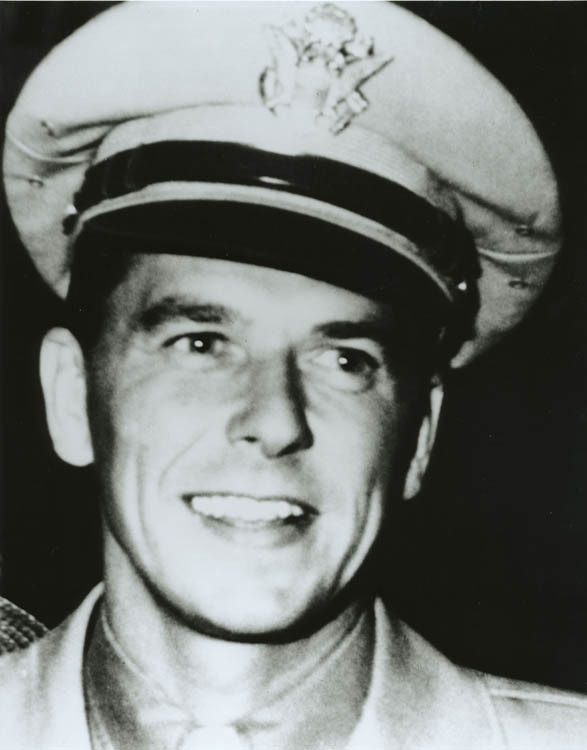 Reagan volunteered in 1937 for the Army Enlisted Reserve on April 29, 1937, as a private assigned to Troop B, 322nd Cavalry at Des Moines, Iowa. He was commissioned a Second Lieutenant in the Officers Reserve Corps of the Cavalry on May 25, 1937. Reagan was ordered to active duty for the first time on April 18, 1942. Due to his nearsightedness, he was classified for limited service only, which excluded him from serving overseas. His first assignment was at the San Francisco Port of Embarkation at Fort Mason, California, as a liaison officer of the Port and Transportation Office. Upon the approval of the Army Air Force (AAF), he applied for a transfer from the Cavalry to the AAF on May 15, 1942, and was assigned to AAF Public Relations and subsequently to the 1st Motion Picture Unit (officially, the "18th AAF Base Unit") in Culver City, California. On January 14, 1943 he was promoted to First Lieutenant and was sent to the Provisional Task Force Show Unit of This Is The Army at Burbank, California. He returned to the 1st Motion Picture Unit after completing this duty and was promoted to Captain on July 22, 1943. In January 1944, Captain Reagan was ordered to temporary duty in New York City to participate in the opening of the sixth War Loan Drive. He was re-assigned to the 18th AAF Base Unit on November 14, 1944, where he remained until the end of World War II. He was recommended for promotion to Major on February 2, 1945, but this recommendation was disapproved on July 17 of that year. He returned to Fort MacArthur, California, where he was separated from active duty on December 9, 1945. By the end of the war, his units had produced some 400 training films for the AAF. While never a great actor, he did have a good career as a 'B' actor. His acting career took off in the 1950s when he became a star on Television. From 1947 to 1952 and again in 1959 he became president of the Screen Actors Guild (SAG). Reagan led SAG through eventful years that were marked by labor-management disputes, the Taft-Hartley Act, House Committee on Un-American Activities (HUAC) hearings and the Hollywood blacklist era. 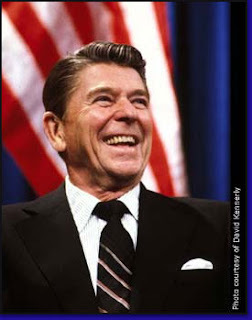 Originally a Democrat, Reagan became disillusioned with the Democratic Party and in 1962 formally became a Republican. He ran for Governor of California in 1966 serving as Governor from 1967 to 1975. In 1975 he challenged President Ford for the Republican nomination. While he lost, he did gain valuable experience from the race. Enough experience to return in 1979 and not only win the nomination, but defeat President Carter in landslide, returning again in 1983 to trounce Walter Mondale with the greatest landslide since George Washington. President Ronald Reagan retired to California after his second term. He was diagnosed with Alzheimer's disease in 1994 at a time which there were very limited treatments for the disease. Ronald Wilson Reagan died his home in Bel Air, California on the afternoon of June 5, 2004. He was 94. Instead of posting all his quotes and achievements, I'll let the man speak for himself. 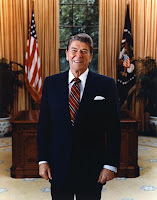 Today pundits and left-leaning commentators are saying that President Barack Hussein Obama is the new Ronald Reagan. Listen to the first video and see if President Obama's policies are more like Reagan's or like Khrushchev's? History will place President Obama with the appeasers, but will praise Ronald Wilson Reagan as a true peace maker. Tags: Conservative, President, Republican, Ronald Wilson Reagan, James Palmer To share or post to your site, click on "Post Link". Please mention / link to the ARRA News Service. Thanks!